The French and Italian teams are locked in a furious battle for the 2011 overall championship, and today the Italian's game plan was on track giving Luna Rossa the advantage. But no one is underestimating the French team’s ability, as Pennec’s team has shown in the past with their backs against the wall, they can quickly rally and turn the tables on their adversary. 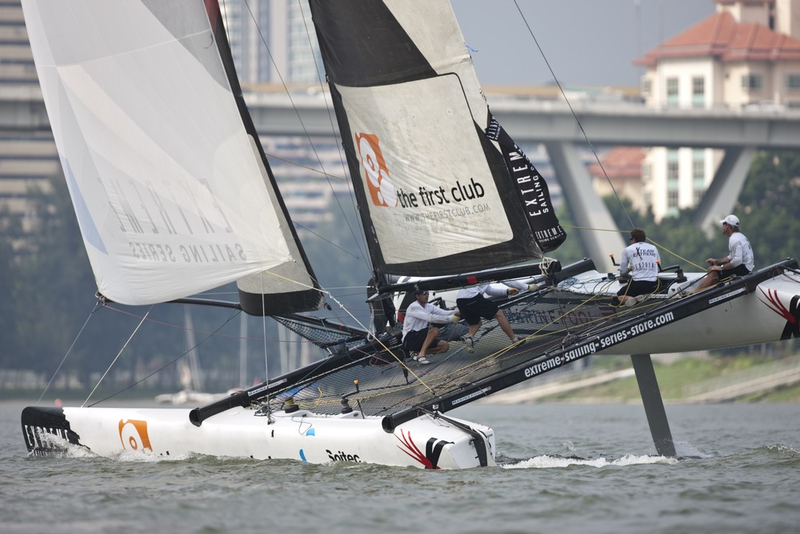 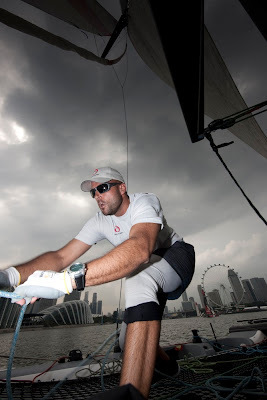 Although the conditions today on Marina Bay were difficult for all the teams, Roman Hagara’s Red Bull Sailing Team has managed to retain the top spot on the Singapore leaderboard. Red Bull Sailing Team’s tactician Hans Peter Steinacher, current leaders of Act 9, described the conditions today : “Today was really hard, the wind was changing all the time – down, up, down, up,” Steinacher said. 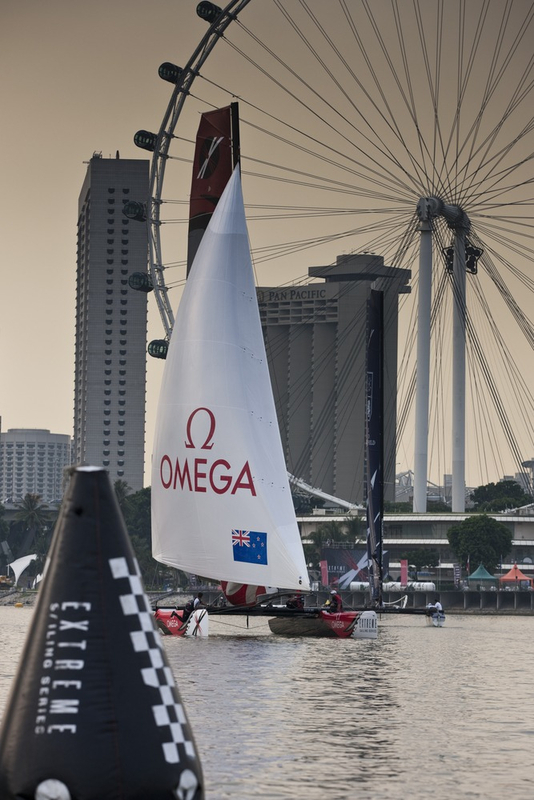 Dean Barker though will be happier with Emirates Team New Zealand’s performance today, posting a win in the second race of the day, to leave them in 2nd place on the leaderboard and Swiss team Alinghi climbed two places up the rankings to end the day in 6th place.